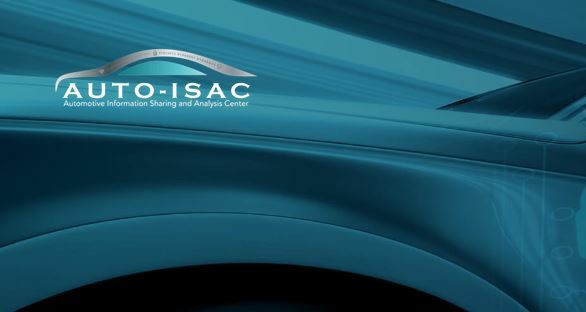 The Automotive Information Sharing and Analysis Center (Auto-ISAC) welcomes Allison Transmission, Autoliv, Calsonic Kansei, Hitachi, Intel and Navistar as new members. The inclusion of these companies exemplifies the Auto-ISAC’s continued efforts to promote collaboration between Tier 1 suppliers and automobile manufacturers around vehicle cybersecurity. The Auto-ISAC was formed by automakers in August 2015 to establish a global information sharing community to promote vehicle cybersecurity. In the Fall of 2017, the Auto-ISAC held its first Summit which was widely attended by representatives of companies, government, non-profits and academia. The theme of the summit was “Start Your Engines” to symbolize the beginning of the industry build-up of a race against cyber threats. The program was focused on building key relationships to tackle the automotive cyber challenge together. This year’s Summit is scheduled for September 25-26 in Detroit, MI and will focus on taking cybersecurity and sharing to the next level. Guided talks, panels and keynotes will share up-to-date knowledge and best practices and provide educational and networking opportunities for the connected vehicle industry. Auto-ISAC members represent more than 99 percent of light-duty vehicles on the road in North America. Members also include heavy-duty vehicles, commercial fleets and carriers. It has global representation from companies in Europe and Asia. For more information please visit www.automotiveisac.com and follow us on Twitter @autoisac. Allison Transmission is the world’s largest manufacturer of fully automatic transmissions for medium- and heavy-duty commercial vehicles and is a leader in electric hybrid-propulsion systems for city buses. Allison transmissions are used in a variety of applications including refuse, construction, fire, distribution, bus, motorhomes, defense and energy. Founded in 1915, the company is headquartered in Indianapolis, Indiana, USA and employs approximately 2,700 people worldwide. With a market presence in more than 80 countries, Allison has regional headquarters in the Netherlands, China and Brazil with manufacturing facilities in the U.S., Hungary and India. Allison also has approximately 1,400 independent distributor and dealer locations worldwide. Autoliv, Inc. is the worldwide leader in automotive safety systems, and through its subsidiaries develops and manufactures automotive safety systems for all major automotive manufacturers in the world. Together with its joint ventures, Autoliv has more than 72,000 employees in 27 countries. In addition, the Company has 23 technical centers in nine countries around the world, with 19 test tracks, more than any other automotive safety supplier. Sales in 2017 amounted to about US $10.4 billion. The Company’s shares are listed on the New York Stock Exchange and its Swedish Depository Receipts on Nasdaq Stockholm. Calsonic Kansei is a global automotive company driven by inspiration and innovation. Calsonic Kansei is manufacturing automobile parts with corporate social responsibility in mind, in order to contribute to a sustainable society. Calsonic Kansei has approximately 22,000 employees worldwide, producing radiators, compressors, air conditioning systems, exhaust lines, interiors and electronic products. Calsonic Kansei supplies car OEMs all over the world and values the safety and security of the vehicle users as an absolute priority. Hitachi, Ltd. delivers innovations that answer society’s challenges. The Hitachi Group is a global leader in the Social Innovation Business, and it has approximately 304,000 employees worldwide. Through collaborative creation, Hitachi is providing solutions to customers in a broad range of sectors, including Power / Energy, Industry / Distribution / Water, Urban Development, and Finance / Government & Public / Healthcare. Hitachi and subsidiary companies of Hitachi are engaged in the development, manufacture, sales and services of automotive components, transportation related components, industrial machines and systems, and offers a wide range of automotive systems including engine management systems, electric power train systems, integrated vehicle control systems and car information systems. Intel and Mobileye, an Intel company, deliver a variety of hardware and software solutions targeting Advanced Driver Assistance Systems, Autonomous Driving, Software Defined Cockpit, In-Vehicle Infotainment, and Connectivity applications. Intel is working with automotive suppliers, consortia, and standards such as the Auto-ISAC, SAE, ISO, and AUTOSAR to improve cybersecurity for the industry. Review with subject matter expert’s types of cyber security tools, standards and methods that might be employed to establish best practices. Monitor and share as needed the current landscape, ecosystem health to assure commercial vehicle architecture safety/security. Navistar strives to engage the Auto-ISAC to contribute and learn from industry members as a concerted effort to address cyber security.